November 26th is the feast of the Holy Hierarch John Chrysostom, Archbishop of Constantinople. 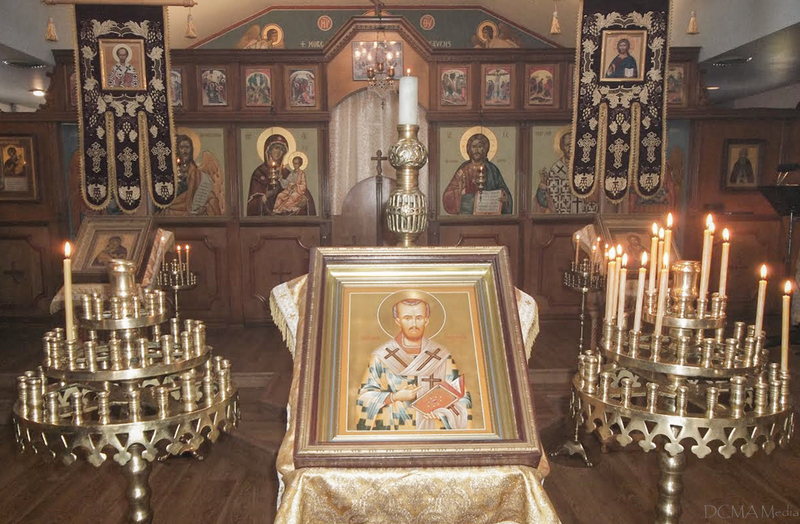 This is the day when St John Chrysostom Church in House Springs, MO, celebrates its patronal feast. 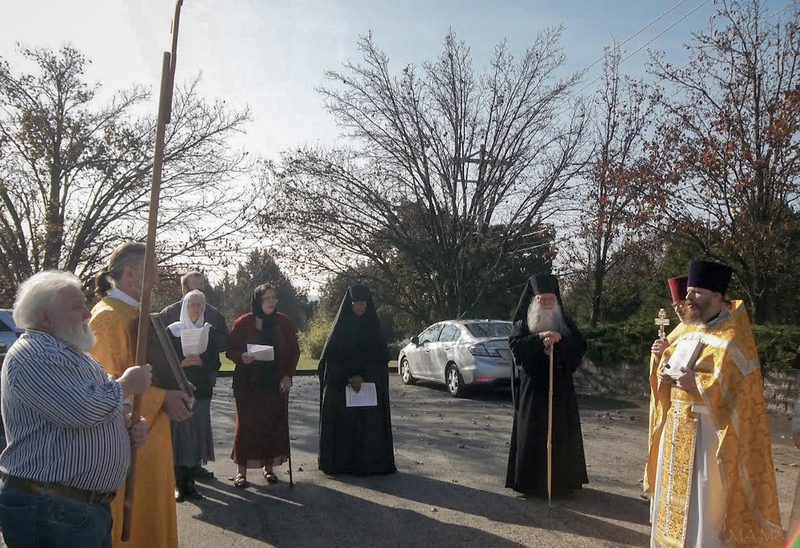 Archbishop Peter made an archpastoral visit to the church to mark the joyous event. 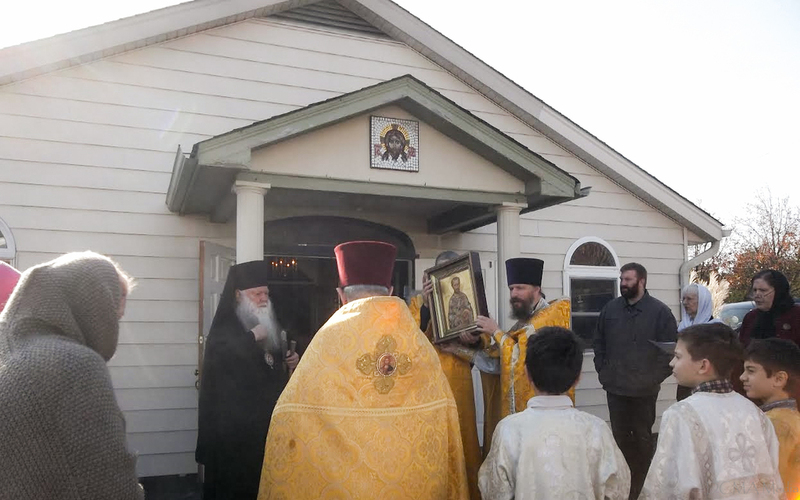 Approximately thirty faithful from the metropolitan St Louis area came to celebrate the feast day and to pray with their ruling hierarch. 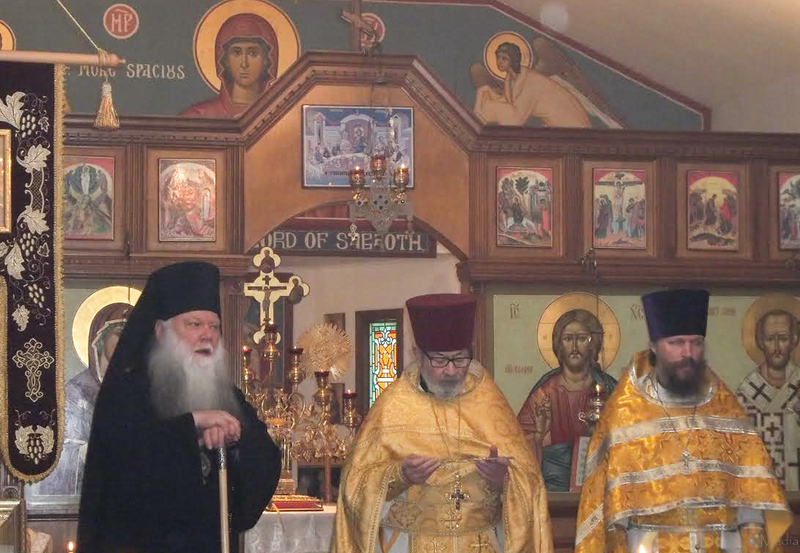 Because of a minor injury sustained during Archbishop Peter’s recent trip to the Ukraine he prayed in the altar while Archpriest Martin Swanson and Priest Sergii Alekseev (St Basil the Great Church, St Louis, MO) celebrated the Divine Liturgy. The choir sang beautifully and was led by Carol Surgant and Julianna Campbell. The service was especially moving, since the praises to St. John were sung in the context of the Liturgy which he has gifted to the Church. In his homily, Archbishop Peter paid homage to the homiletical and theological heritage of the Golden-Mouthed St. John. He also spoke about the correct approach to the spiritual life. Almost all those who gathered for the feast at Saint John’s temple partook of Holy Communion. 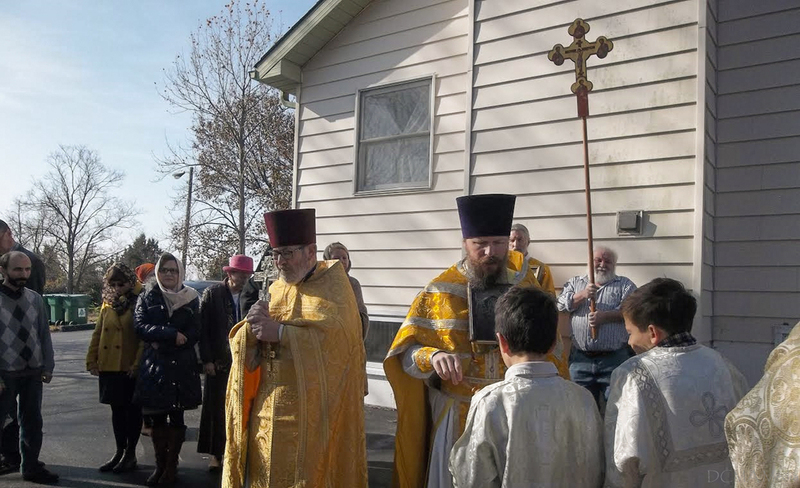 The Liturgy was concluded with the traditional Cross Procession. After the service, the faithful moved to the church hall where light meal was served. Archbishop Peter gave an interesting account of his recent trip to the Ukraine. 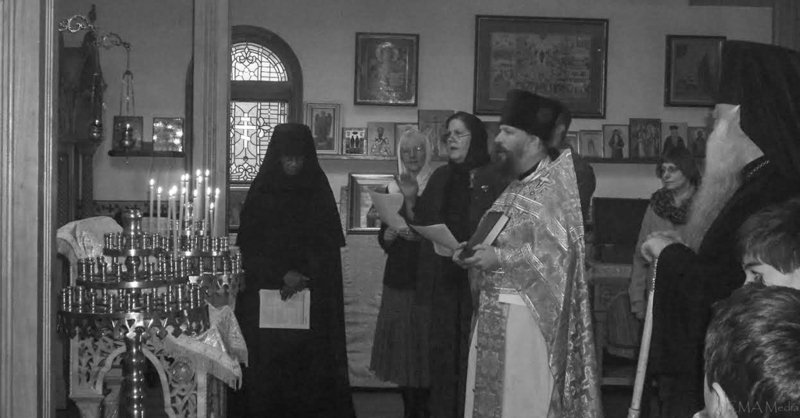 This talk started a broader conversation on different aspects of spiritual life and the historical path of Russia during the communist period. 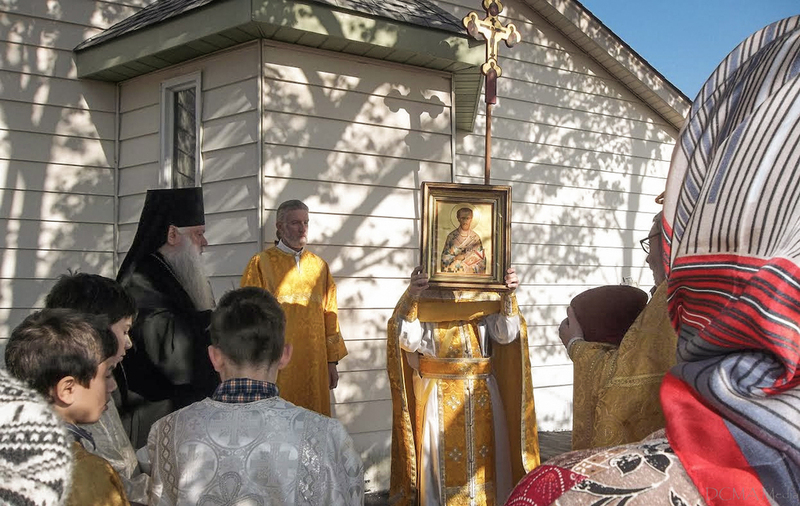 May the Holy Hierarch John Chrysostom strengthen our beloved Archbishop Peter in carrying of his archpastoral cross and may Our Lord God and Savior Jesus Christ never cease to impart His mercies upon His faithful people.